In 1864 the mapping brigades of the Royal Netherlands Indies Army were given separate status directly under the General Staff, and this was later regarded as the starting point of the Topographic Survey of the Netherlands East Indies. They started with the systematic survey of Java, to produce a topographic map series 1:100,000. By 1886 this had been completed, in combination with a land-use survey, and the surveys of the outer isles started. Because of its advanced reproduction process, this map series fetched more prizes at world exhibitions than any other map product before WWI. Reactions by the army, were less positive, but around 1900 a better terrain representation, a more sensible sheet subdivision and timelier provision of map material had been effectuated. In the twentieth century a training brigade, a triangulation brigade and from the 1920s onwards a photogrammetry brigade were added, signs of an increasing professionalization. In 1939, when the 75th anniversary of the Survey was celebrated, large scale topographic maps at scales larger than or equal to 1:100,000 had been produced for all of the archipelago, with the exception of the scarcely inhabited primeval jungle in Borneo and New Guinea. 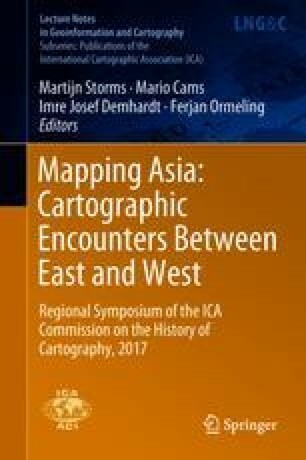 By 1946 the Survey was under Dutch control again, after the Japanese intermezzo, but due to wartime activities on Java, only mapping programmes on the outer Islands were engaged in. In June 1950, the Survey was transferred to the Indonesian authorities.